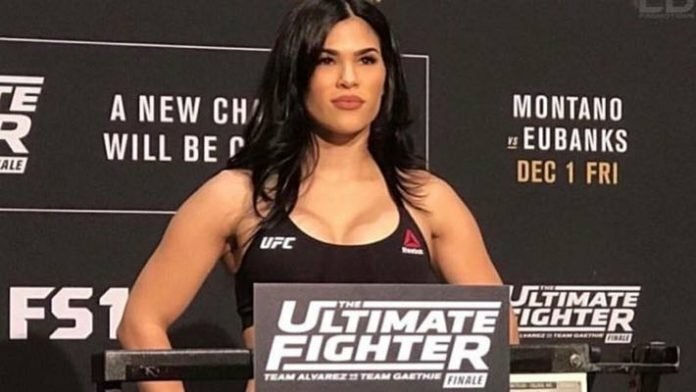 Rachael Ostovich’s husband Arnold Berdon pled no contest to second-degree assault charges after a domestic violence incident last year in Hawaii. Arnold Berdon — estranged husband of UFC flyweight contender Rachael Ostovich — pled no contest to second degree assault charges after he was arrested in connection with a domestic violence incident last November. Berdon was arrested and initially charged with second degree attempted murder but the charges were eventually lowered and he pled not guilty at his initial arraignment. The assault took place at the couple’s home in Hawaii where Ostovich suffered several injuries including a broken orbital bone. Ostovich claimed that Berdon hit her repeatedly in the face and ribs during the assault that she alleges lasted several minutes resulting in her vomiting up blood. Disturbing audio from the assault was later released in a tape from TMZ. In court on Thursday, Berdon ultimately decided to plead no contest to the charges, which means he will be subject to sentencing for the crime on May 16. According to a report from The State, Berdon said he wanted to spare his family a lengthy court battle and he is now in the midst of a divorce from Ostovich. Ostovich had previously filed a restraining order against Berdon that was granted and he was ordered to stay at least 500 feet away from her and their daughter. The maximum penalty for second-degree assault in Hawaii is up to five years in prison and/or a $10,000 fine. Based on the hearing, Berdon is more likely to only receive probation in the case. Judge Trisha Morikawa said Berdon will likely avoid any jail time if he completes a domestic violence intervention program and he promised in the courtroom that he would ‘do well’. Afterwards, Ostovich released a statement via her attorney Lanson Kupau. “I’m satisfied that Arnold is accepting responsibility for his actions and getting the needed help so that he can be the best father to our daughter,” Ostovich said in the statement. Despite the injuries suffered in the assault, Ostovich still ended up competing in her next scheduled fight in January where she fell to Paige VanZant by submission.